You are here: Home / Insurance / Term Plans Vs Whole Life Plans: Which suits you better? There is term plan and then there’s whole life plan. Both are insurance products aimed at a very long tenure but differ in their design. 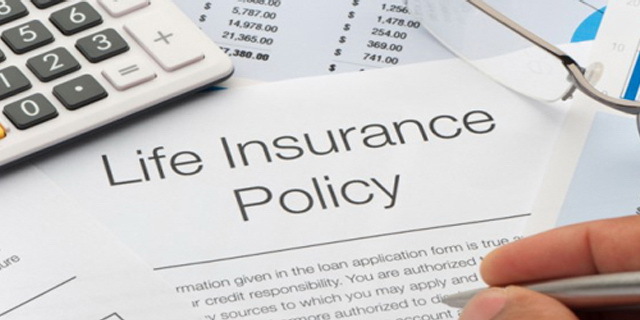 Which Life cover should you buy; Term plan or Whole Life Plan? Term Plans are pure insurance products that would give the sum assured when the inevitable happens during its tenure. If you out-live the tenure then you do not get anything. Consider it like car insurance or mediclaim; you invest in it regularly but can only avail the benefit in case the event happens, not otherwise. There are no returns to be had here. Term plan as the name suggests is for a TERM generally from a minimum of 5-35 years. So if the ‘event’ happens during the term, your nominee gets the sum assured. However if you out-live (which should be good news actually) you don’t gain anything. The reason why term plan is attractive is that it provides a high sum assured for a very affordably cheap premium. For example a non-smoking individual in his 30’s can look at a premium of 5,000 to 6,000 for a sum assured of Rs. 50 Lac for a period of 30-35 years. This gives the individual peace of mind that anything happens to him/her by the time they are still earning; their loved ones will have financial security. Whole Life Plan is as the name suggest for the whole life; which the insurance companies assume to be 100 years. Yes, it insures the individual for his/her age of up to 100 years. Unlike term plan there is no tenure in this. It is expensive as compared to Term Plan; nearly 5 times the premium for the same sum assured. If a non-smoker in his 30’s looks to take whole life cover of Rs. 50 Lac, he can be looking at a premium of Rs. 25,000 to Rs. 30,000. This is way expensive when you compare that to a Term Plan. But it is for the longest possible duration so you know that whenever the ‘event’ happens, your nominee will get the sum assured. Other Major Difference between a Term plan and a Whole life Plan is that with a Whole Life Plan, you can surrender the Policy prematurely and can get the Value of the Plan as on that Day after some deductions, if in the company’s policy. Also you get the accrued Bonus over the years with the policy when you surrender or you happen to outlive 100 years (unlikely, but you never know). So there is some amount of return on investment. The Main Difference apart from returns on investment among these plans is that of the Premium Distribution by the Company. In a Term Plan, the premium entirely goes towards the sum assured contribution. There is no other frill involved. So if you stop paying premium and want to surrender the policy, you do not get anything since there is no Investment happening, it is only Pure Insurance out there. In a Whole Life Plan, the premium paid is higher and it is so because a portion of the premium goes towards the Sum Assured, while the rest goes as the Investment in the Company. This invested amount, like any other investment product earns returns and any profit is added to the fund value as Bonus. This Bonus and the fund value is the amount the person can withdraw prematurely after any lock-in period expires or the person is alive after 100 years and he/she can get the maturity value plus bonus. In a whole life plan you can cut down the premium payments by stopping contribution that goes towards the fund as investment and only continue with the premium component. For this you need to option you should choose Whole Life Plan with Term Rider in which the Term Rider premium component cannot be withdrawn and the other portion of the premium can be withdrawn with accrued bonus if any. This way you have a regular savings and sum assured at the same time since you withdraw the investment part but still contribute a reduced premium toward the sum assured. It depends on individual to individual. If you are someone who wants a Sum Assured only for the time till you are earning, then Term Plan is suits you. Since once you stop earning there not much financial contribution from your side anyway, so the financial compensation in your absence after that point doesn’t actually matter that much, of course, it is never a bad thing to have more money for your family. However if you are someone looking at having insurance for your entire life then Whole Life Plan is the one you can choose. It is expensive but then it is for 100 years and also it has the return on investment factor that the Term Plan does not. Ideally Term Plan is pure insurance so it makes better sense. Since the premium you save on a Term Plan as compared to a Whole Life Plan can be invested somewhere else and the returns can be enjoyed. For instance if you are paying Rs. 30,000 for the Whole Life Plan for a Sum Assured of Rs. 50 Lac and you compare that to a Term Plan which costs only 5,000 for the same sum assured, then the Rs. 25,000 annually thus saved can be invested regularly in Mutual Funds for Long term and after a tenure of 25 years assuming even 12% returns, you are looking at great money. But if you still need a One-Stop-Shop kind of a thing that takes care of your savings and Insurance. You can definitely go for a Whole Life Plan.